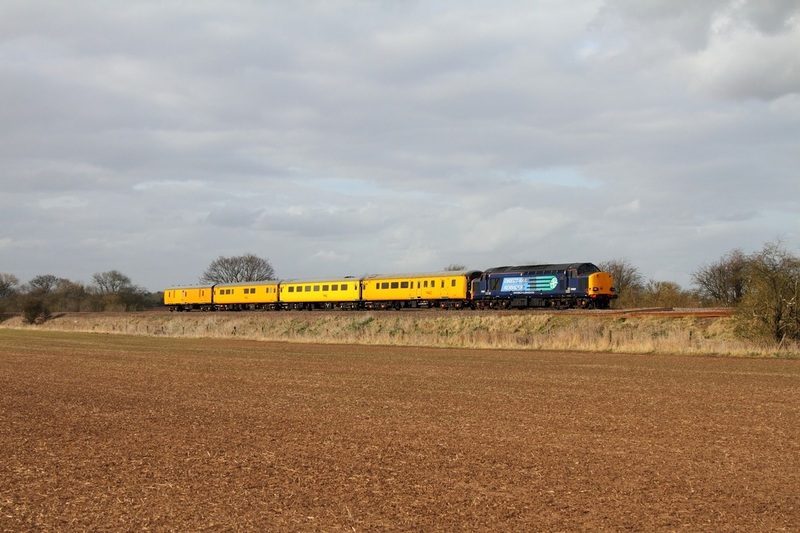 Network Rail's 31285 leads Br Blue 31106 on the 3Z11 Old Dalby to Derby RTC at Cossington on the 29th April 2013. 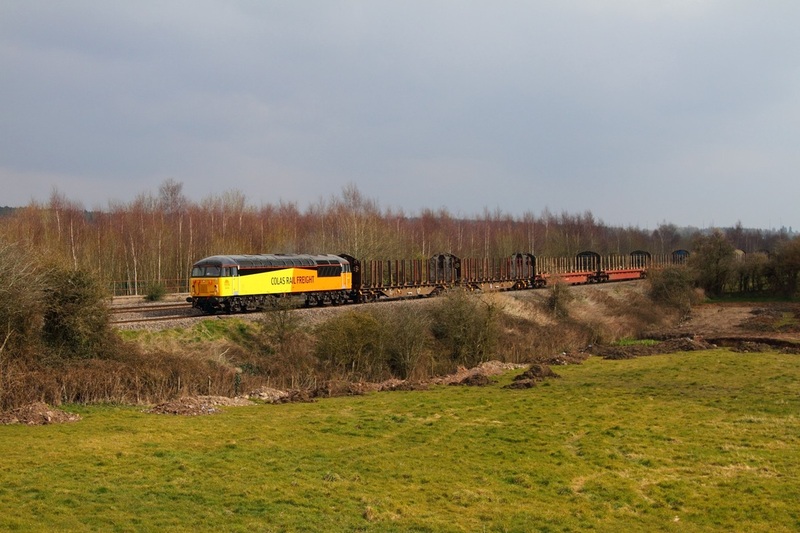 West Coast Railways 33029 leads 33207 on the 5Z57 Southall to Carnforth at Ansty on the 29th April 2013. 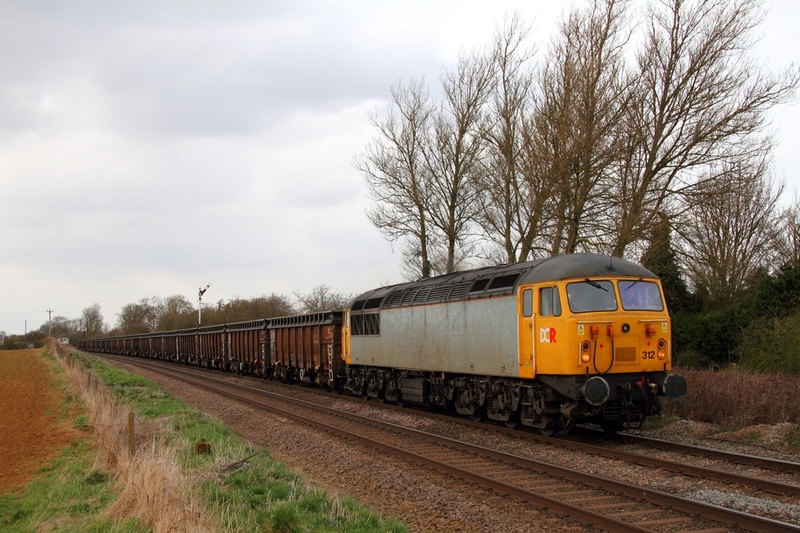 Freightliner Grey 90048 glides through Ansty powering the 4M87 Felixstowe to Crewe Basford Hall on the 29th April 2013. 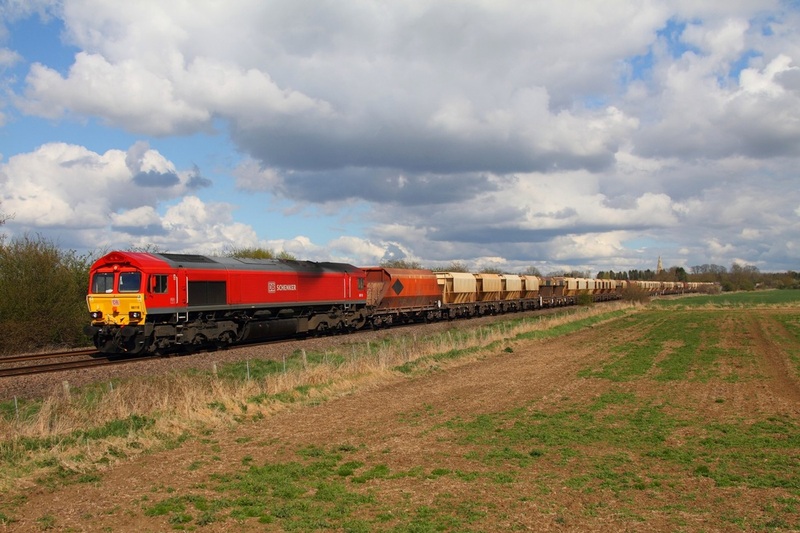 DB Schenker's EWS 60045 powers the 6E22 Mountsorrel to Doncaster at Normanton just north of Loughborough on the 27th April 2013. 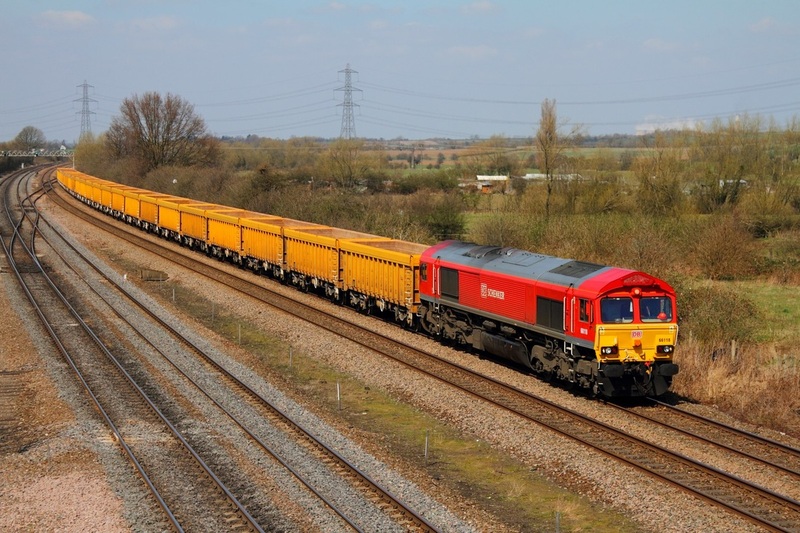 DB Schenker's 66118 leads 66128 on the 6M67 Broxbourne to Mountsorrel at Kirby Bellars on the 27th April 2013. 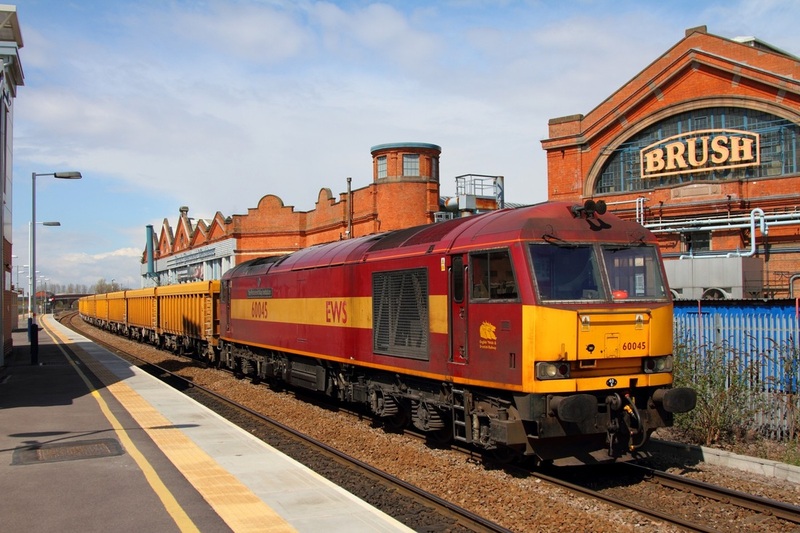 60045 powers the 6M23 Doncaster to Mountsorrel at Loughborough on the 27th April 2013. 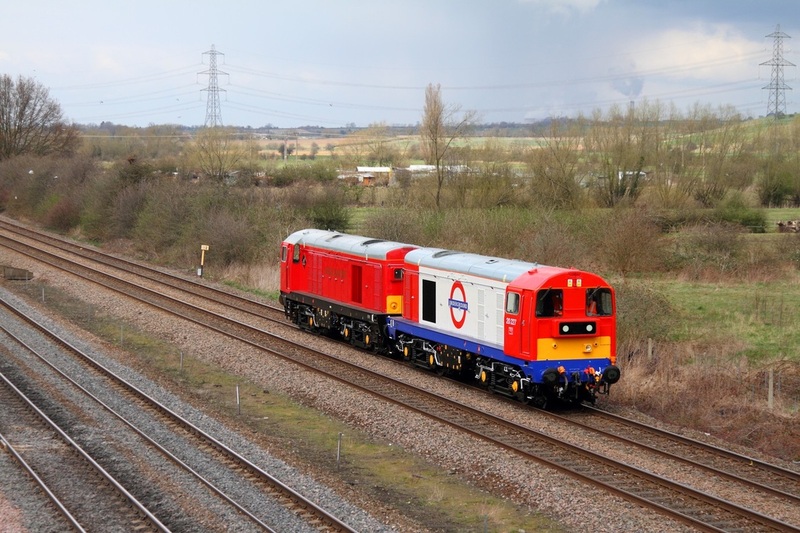 DCR 56312 storms through Ashwell on the 21st April 2013 working the 6Z56 Chaddesden to Willesden. 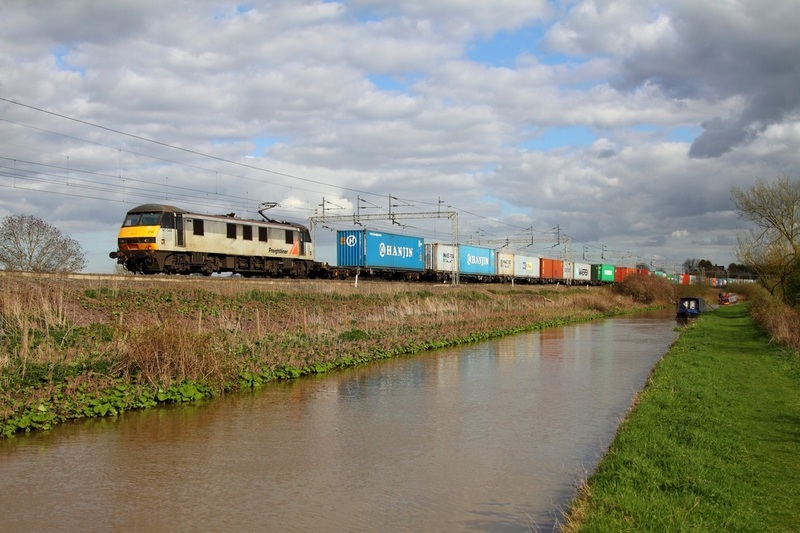 DB Schenker 60054 cruises through Loughborough powering the 6E38 Colnbrook to Lindsey on the 20th April 2013. 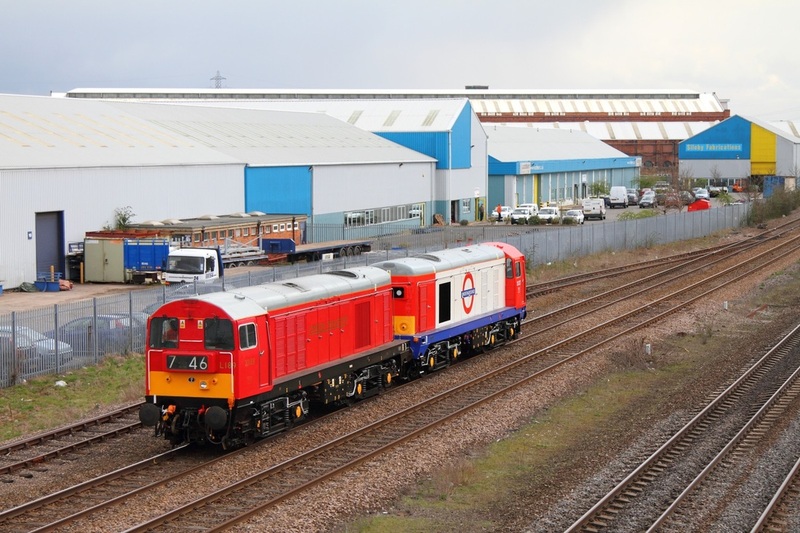 20227 leads 20189 on the 0Z20 Butterley to West Ruislip at Loughborough on the 20th April 2013. 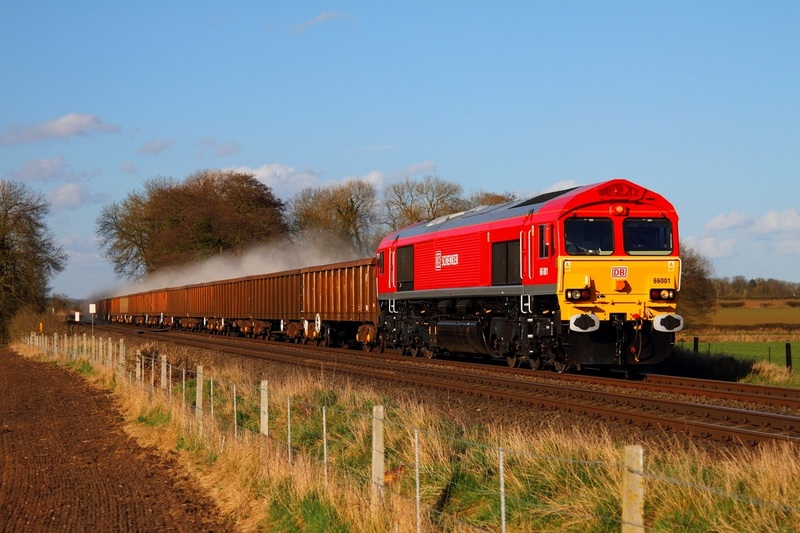 DB Schenker 66001 leads the 6M88 Middleton Towers to Ellesmere Port at East Goscote on the 18th April 2013. 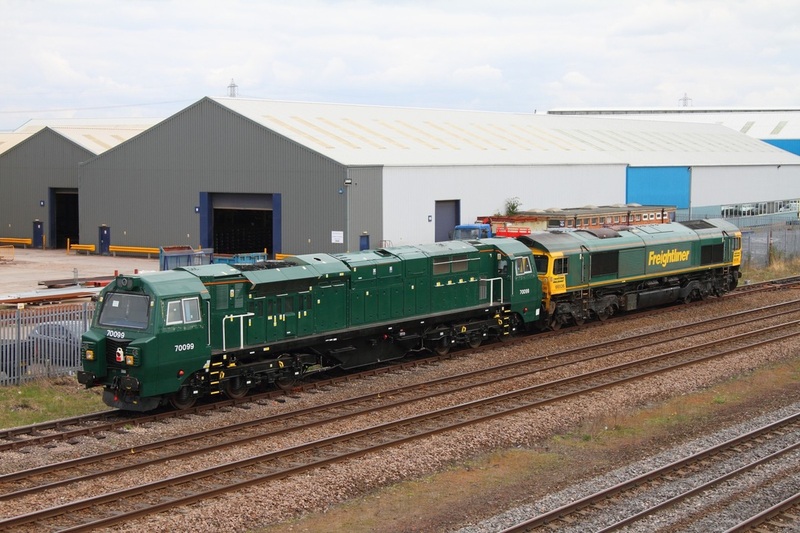 DRS 37607 powers through Cossington on the main towing Network Rail coaches 9481, 977983, 999550 and 6261 as the 1Z09 Derby RTC to Hither Green on the 15th April 2013. 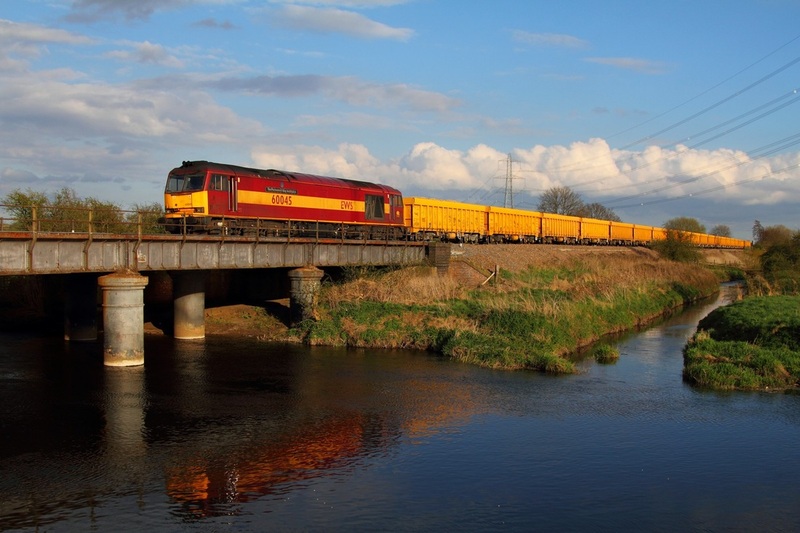 Colas Rail 56105 leads the 6Z53 Teigngrace to Chirk loaded timber over St Julians bridge at Caerleon on the 11th April 2013. 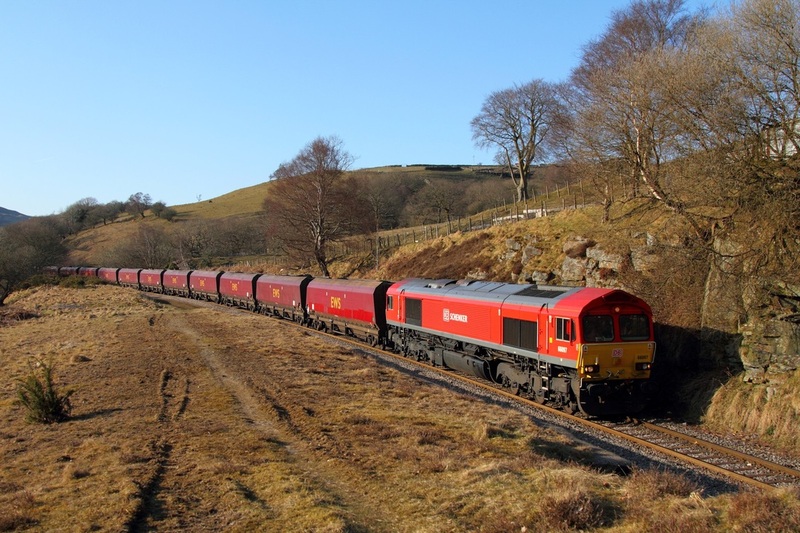 DB Schenker's 66097 leads the 6C94 Cwmbargoed to Margam loaded coal train at Bedlinog on the 6th April 2013. 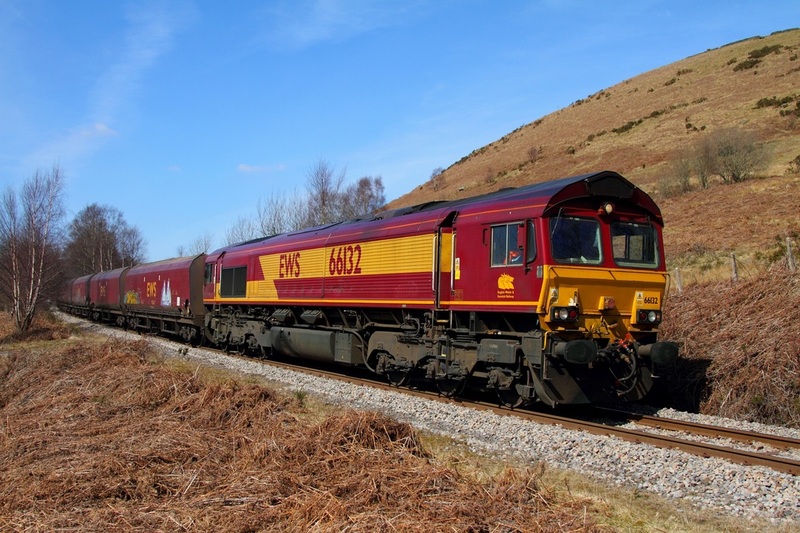 DB Schenker's EWS liveried 66132 passes Cwmfelin with the 6C93 Cwmbargoed to Aberthaw on the 6th April 2013. 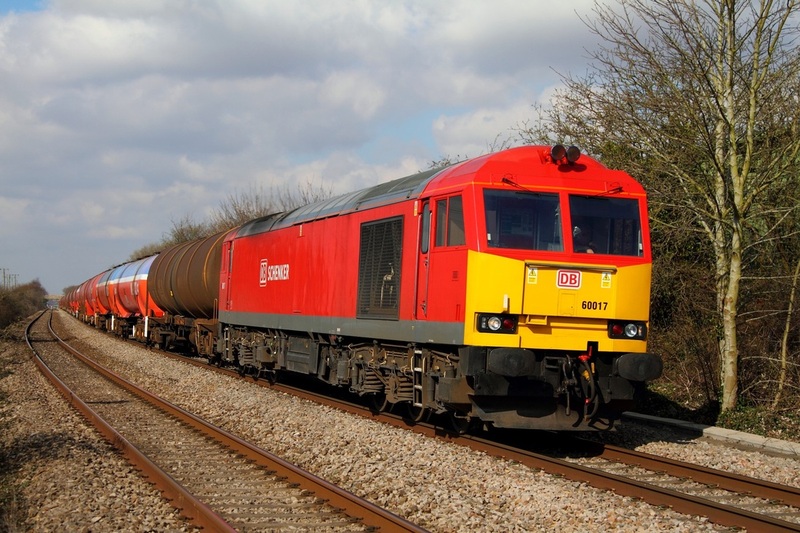 DB Schenker's 60017 on the 6B13 Robeston to Westerleigh loaded murco bogie tanks at Purton on the 6th April 2013. 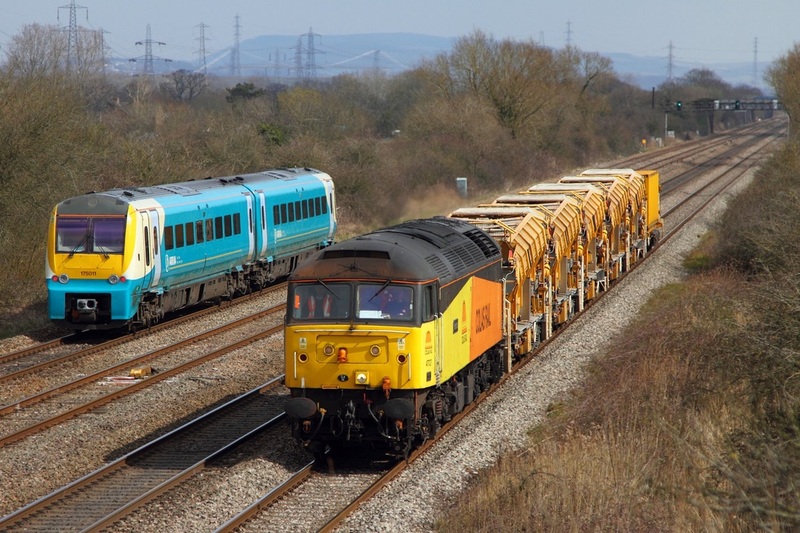 Colas Rail 47727 shoots down the relief line towing the 6Z47 Taunton Fairwater yard to Cardiff Canton sidings consisting of YDA DR 92295, YDA DR 92296, YDA DR 92288, YDA DR 92297, YDA DR 92297, YDA DR 92287 and YSA DR 92701 and passes Arriva Trains Wales 175011 on the 1W21 Milford Haven to Manchester Piccadilly service at Coedkernew on the 5th April 2013. 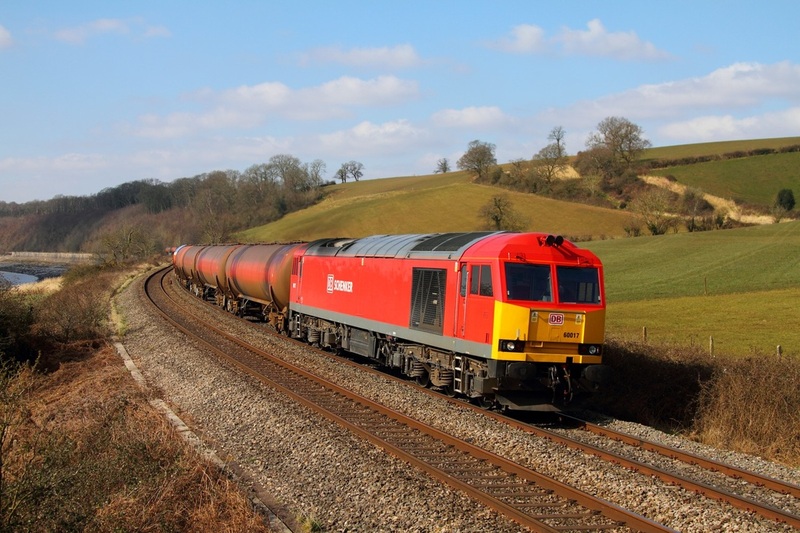 DB Schenker's 60017 hauls the mighty 6B13 Robeston to Westerleigh loaded murco bogie tanks at Caldicot Pill on the 5th April 2013. 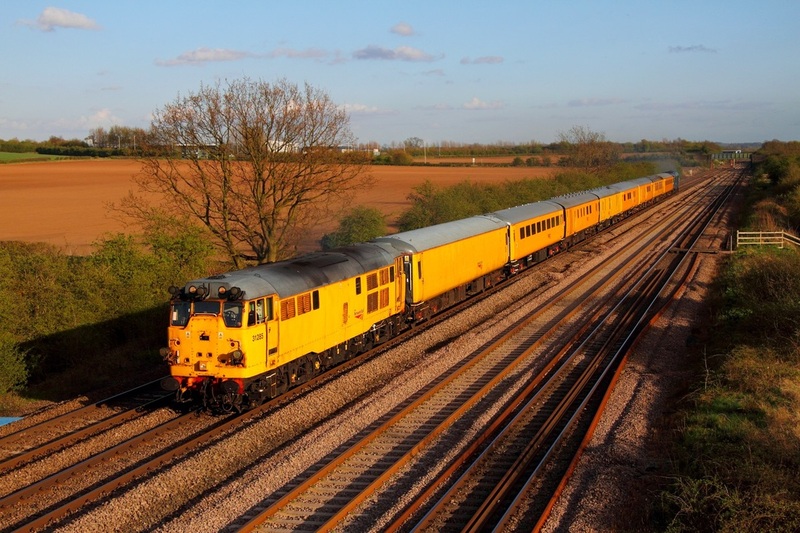 On the 4th April 2013, Colas Rail 56105 cruises through Undy working the 6Z37 Gloucester yard to Baglan Bay empty timber train. 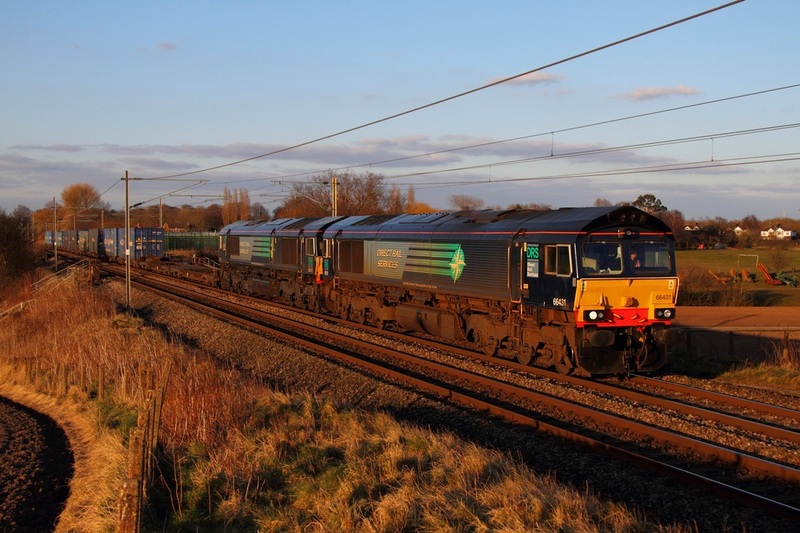 DRS 66431 leads 66429 at Red Bank near Winwick junction on the 1st April 2013. 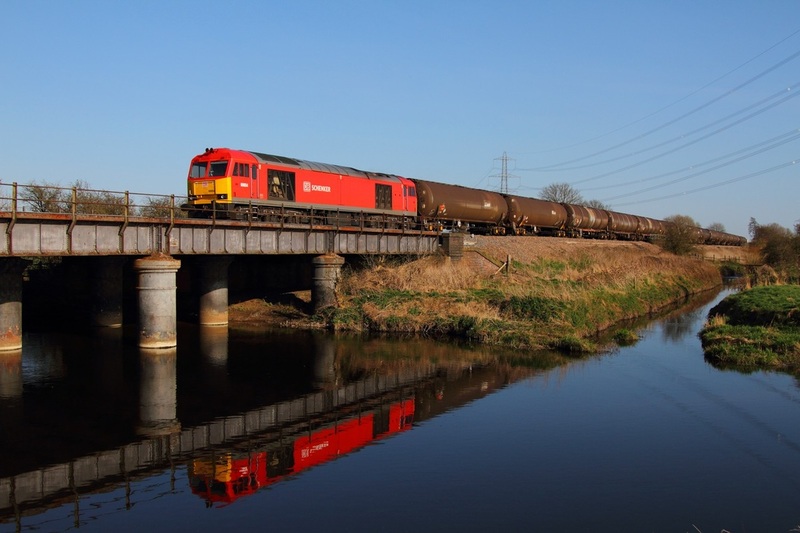 66429 failed with 4M44 Mossend to Daventry service at Coppull near Balshaw lane and 66431 was sent light from Gresty Bridge to assist the train to its destination. 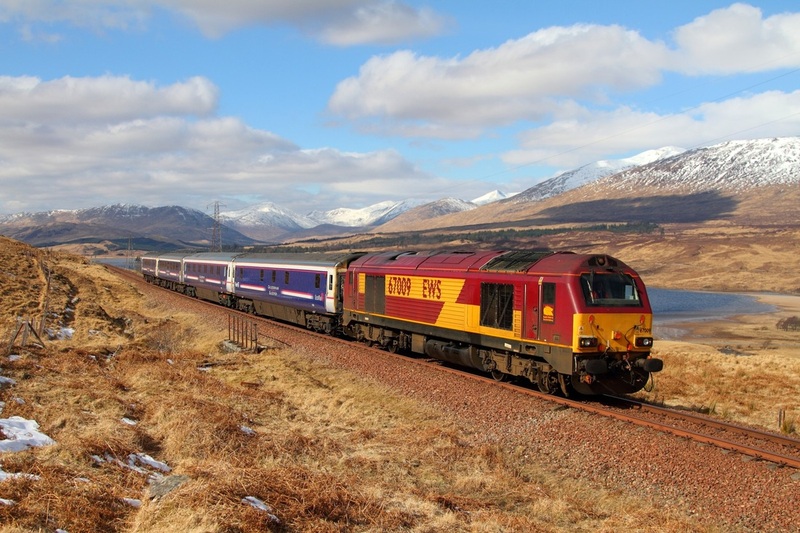 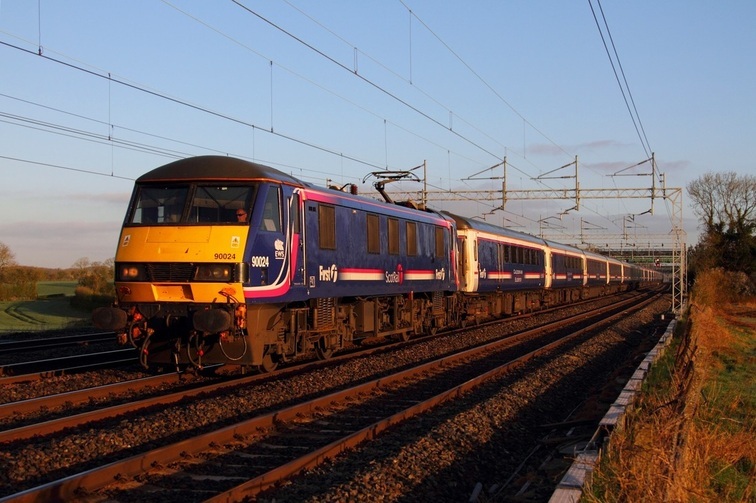 On the 1st April 2013, DB Schenker's EWS liveried 67004 failed whilst working the 1Y11 Edinburgh (London Euston) to Fort William sleeper near Manuel junction. 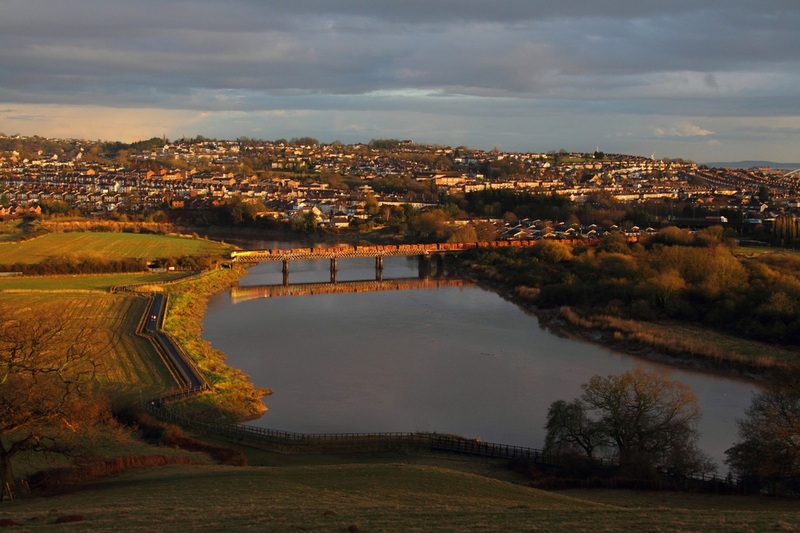 67009 was sent from Millerhill yard and took the train forward, 67004 was dumped at Dumbarton Central and 67009 leads the 1Y11 around 3 hours late at Achallader.